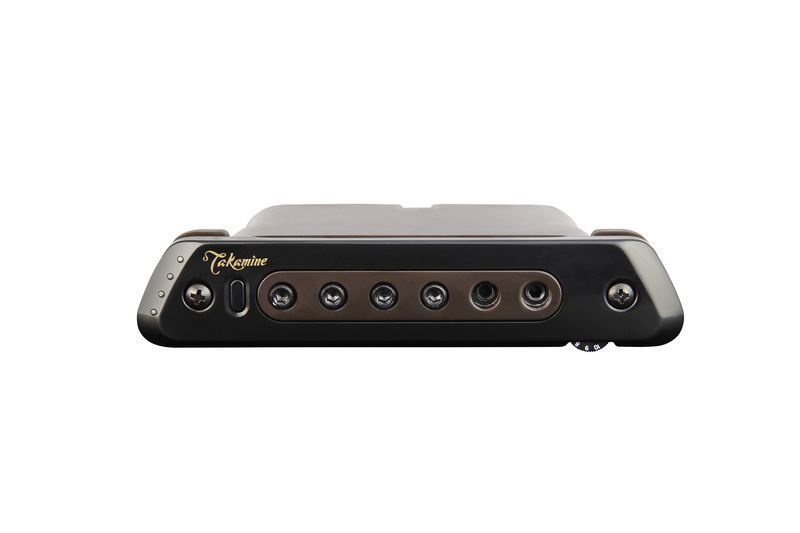 The Tri-Ax 2 active soundhole pickup, with its built in class A discrete preamp, features outstanding body sensitivity with great warmth and presence. 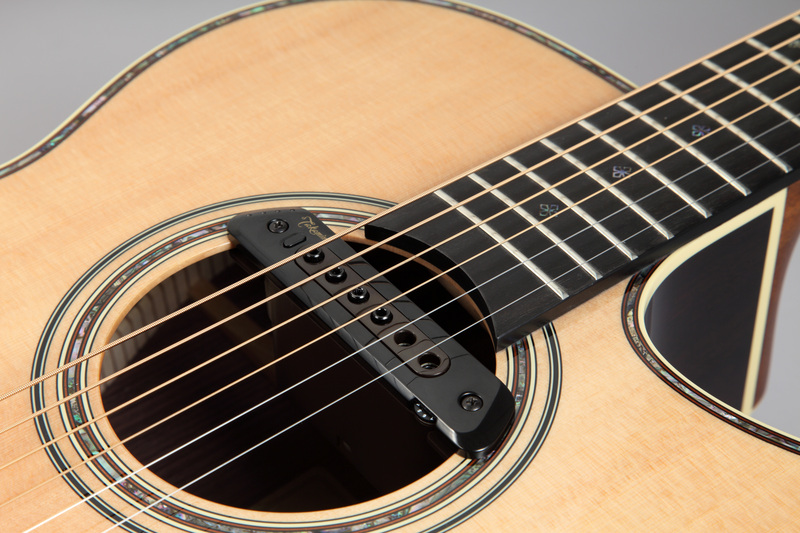 The Most Advanced And Intelligent Design In Soundhole Mounted Pickups. The Tri-Ax 2 active soundhole pickup, with its built in class A discrete preamp, features outstanding body sensitivity with great warmth and presence. Its dual-coil design employs L.R. Baggs exclusive patented Tri-Axial Dynamic Technology, which senses both the string and body vibrations for a clear, rich and complex tone. The design is highly resistant to feedback, noise and hum. A volume control is conveniently located for fingertip control. The Tri-Ax 2 will fit all guitars with a soundhole larger than 3.5” that is centered beneath the strings. For players who use the Takamine CoolTube™ preamp, the Tri-Ax 2 is system-matched to work flawlessly as the second source (aux) pickup. Tri-Ax 2 is “System Matched” to augment the Cool Tube™ preamp. The pickup comes with the cable to connect to the aux input. In passive mode the Tri-Ax 2 uses the Cool Tube™ preamp Aux control to blend effectively with the Palathetic™ pickup for a new level of tonal bliss. The Tri-Ax 2 is silent and adds a brilliance to the midrange and fattens up the sound of the treble strings, especially beyond the seventh fret. The Tri-Ax 2 comes with a cable-to-end-pin jack connection for use when installing in an acoustic guitar. In active mode the Tri-Ax 2 delivers a full, robust signal that is capable of being plugged directly into an amp or mixing console. The triaxial design outperforms the other magnetic-only pickups on the market.